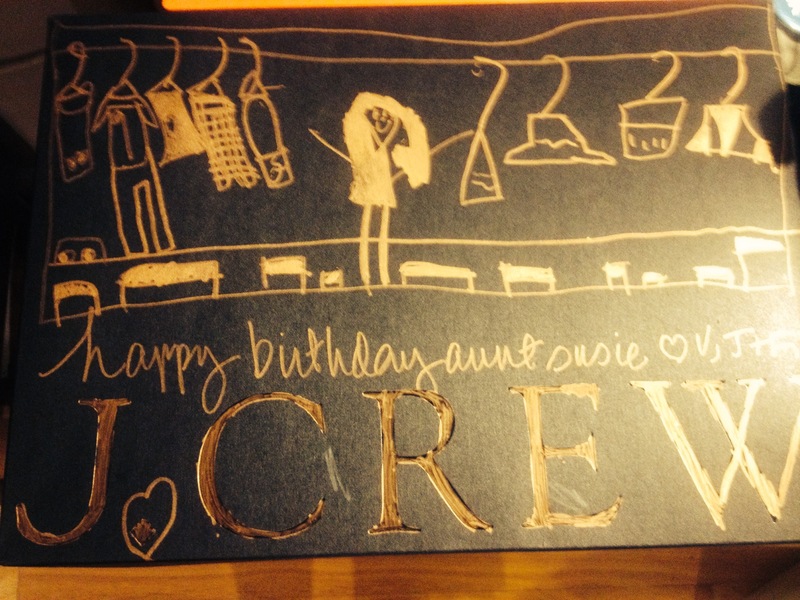 I’ve been so in love with J. Crew’s black boxes (Black boxes! Any Nikita fans out there?) So I asked Little McGifty to decorate the box and well, I’m her Mom, but I think the results were magic. 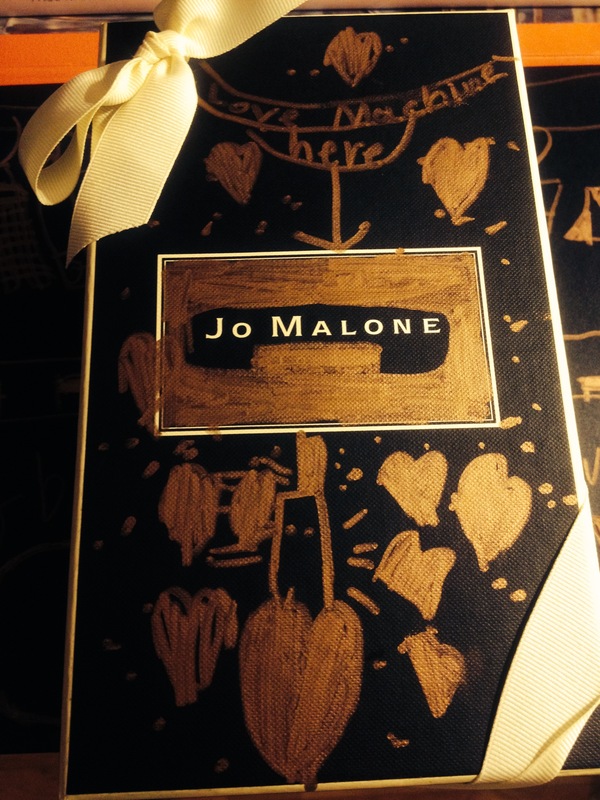 She also went to town on a Jo Malone box. With so much love on the outside, who cares what’s inside?